MetaData // Personal Photojournal by a Professional Photog: New Personal Blog! As you can see I haven't posted to this blog in quite some time as my new professional blog now resides at: www.alisiaduganz.com/blog (please check it out for updates on my wedding/portrait work!). Since I have some big personal news and am going to be posting lots of pictures, I thought I'd revive this blog and transform it into my personal photo blog. I am going to leave up my old Alisia D photography photos but everything I post here from now on will be of a personal nature, so don't say I didn't warn you! 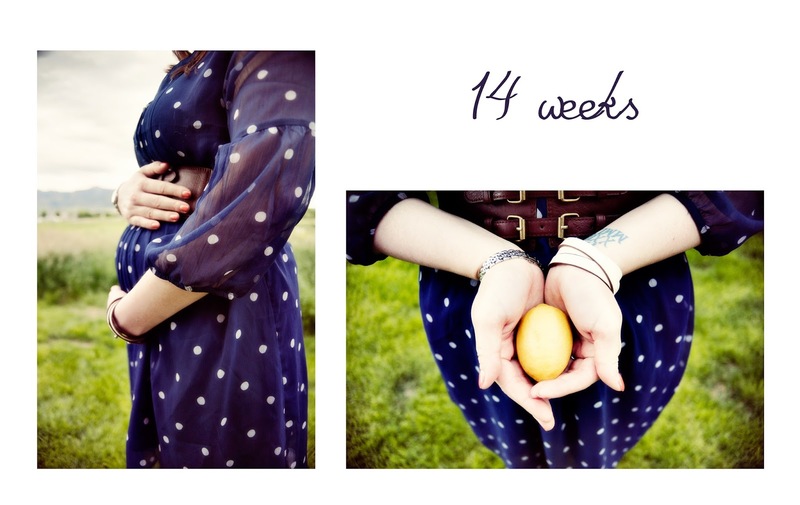 In case you didn't know, Patrick and I are expecting our first child in December! December, 24th, to be exact. Since we passed the milestone week 12 (when the chance of miscarriage vastly decreases), Patrick has been taking weekly photos of my growing baby bump. Since I haven't posted any yet, there are going to be a bunch on this post. But from now on it will be once a week (hopefully). 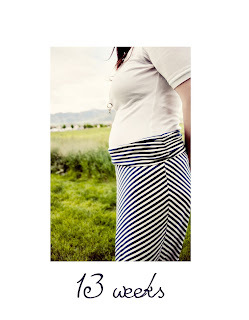 You'll see that after week 13, each belly photo is paired with some kind of food. This is because I get weekly emails from various baby websites comparing the baby's length to various types of fruit/veggies. 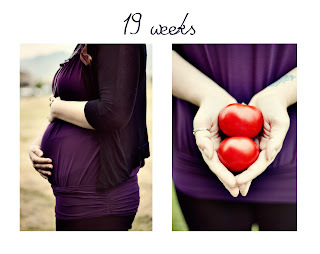 I thought it would be cute to incorporate that into our photo shoots, and so far I've loved the result! Some of the comparisons don't make a whole lot of sense to me, but it's been fun. 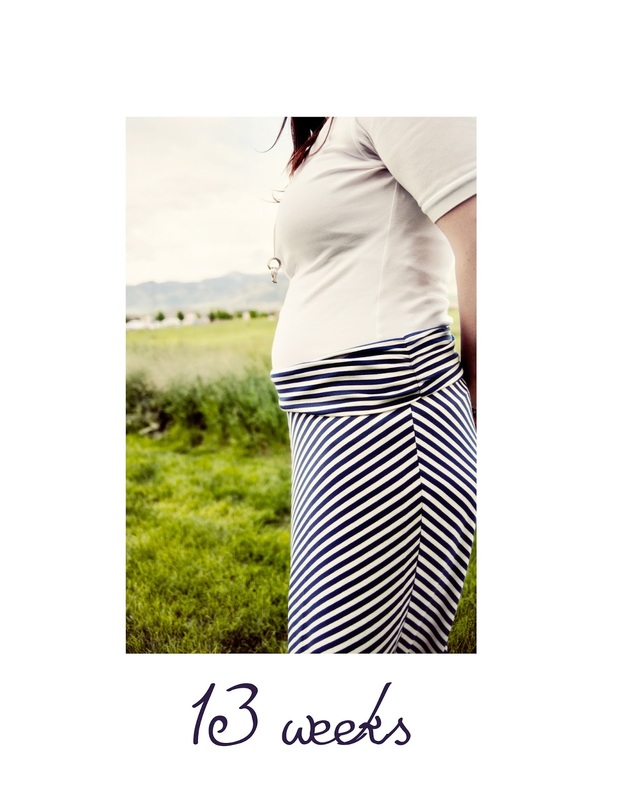 At 13 weeks, the baby is the length of a pea pod from crown to rump. Finger prints are now formed on the baby's tiny fingers. 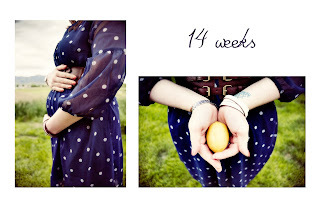 14 weeks, the baby is the length of a lemon and can make facial expressions. Week 15, baby is the length of an apple (or Apple) and can now sense light. 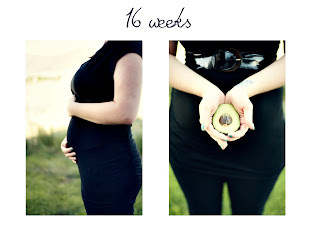 Week 16, baby is the length of an avocado and its eyes and ears are nearing their final position. 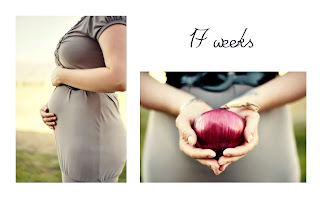 17 weeks, baby is the length of an onion and its skeleton is changing from soft cartilage to bone. 18 weeks, baby is the length of a bell pepper. 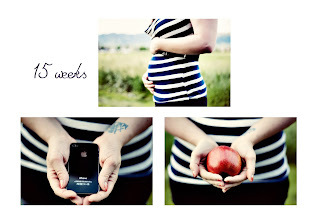 This week I felt baby move for the first time! 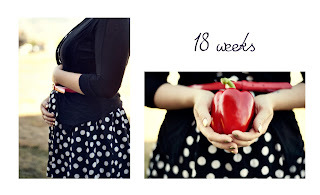 19 weeks, baby is the length of an heirloom tomato (or a couple smaller homegrown tomatoes?). Baby may be able to hear now. Lots of guitar playing and reading ahead. Half-way point! 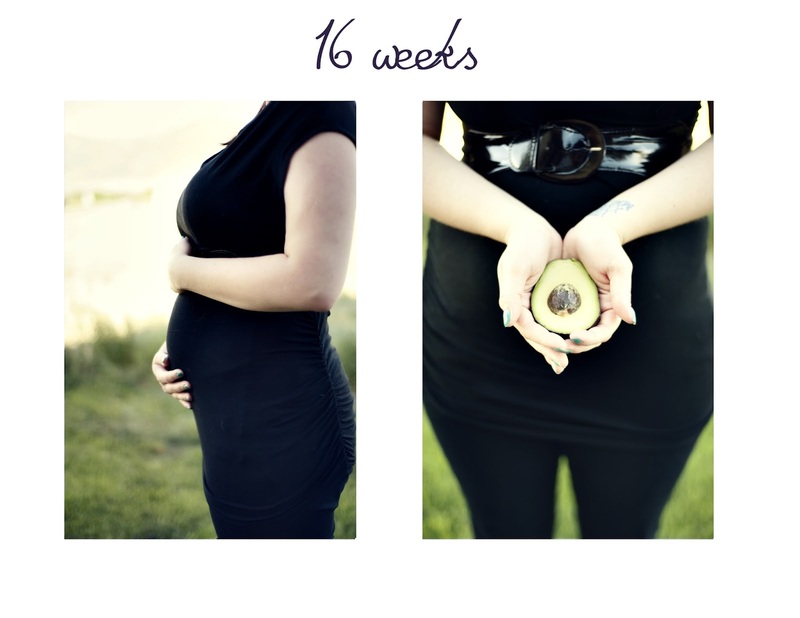 Baby is now measured from crown to toe instead of crown to rump, around 10" long. Banana size! Hope you enjoyed these photos! 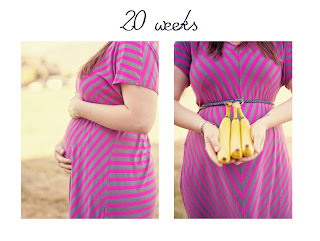 All photo credit goes to my wonderful hubby and second shooter extraordinaire, Patrick Duganz. Stay tuned for next week. I'm confused, soooo, you're going to give birth to fruit salad or a regular salad? If it's a girl you can name her Ambrosia and if it's a boy? Hmmm, maybe Caesar. Hahaha. I guess it's a combo salad. Like a Waldorf maybe? Hmmm Waldorf is a cute name. Wally for short. That's cute for a boy but a bit rough for a girl! Awesome cousin! I'm happy for you.